AustinPostcard - Capitol from a Distance, Austin, Tex. Postcards > Bird's Eye View's & Skyline Views > Capitol from a Distance, Austin, Tex. Capitol from a Distance, Austin, Tex. 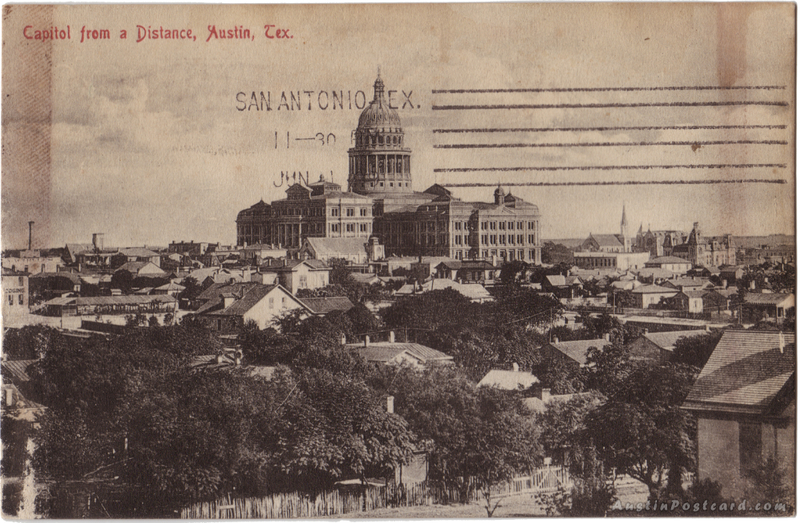 Postmark: JUN 1 3-PM 1909 AUSTIN,TEX.